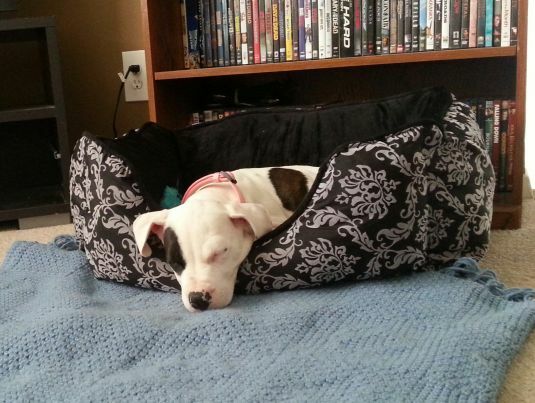 Zoey is a 10 week old pitbull puppy. She loves to play outside, play with her puppy toys, go to her favorite dog park and sleep in her puppy bed. How could anyone hate pitbulls!